One of the great advantages of food trucks is that owners are on the truck daily. This brings a tight bond between the owner and their hungry patrons. Since many of us only get that small time between ordering and grabbing our food, I wanted to help bring us together. That’s when I got the idea, Behind The Wheel. Gets me back to telling the story and further enjoying – being around food trucks. This week I highlight Virgil’s Jamaica. As all stories are unique, Virgil’s Jamaica is one that will keep your interest. For one, some food truck operators want their story to lead to a successful restaurant building. For Virgil’s, that story has already been written. 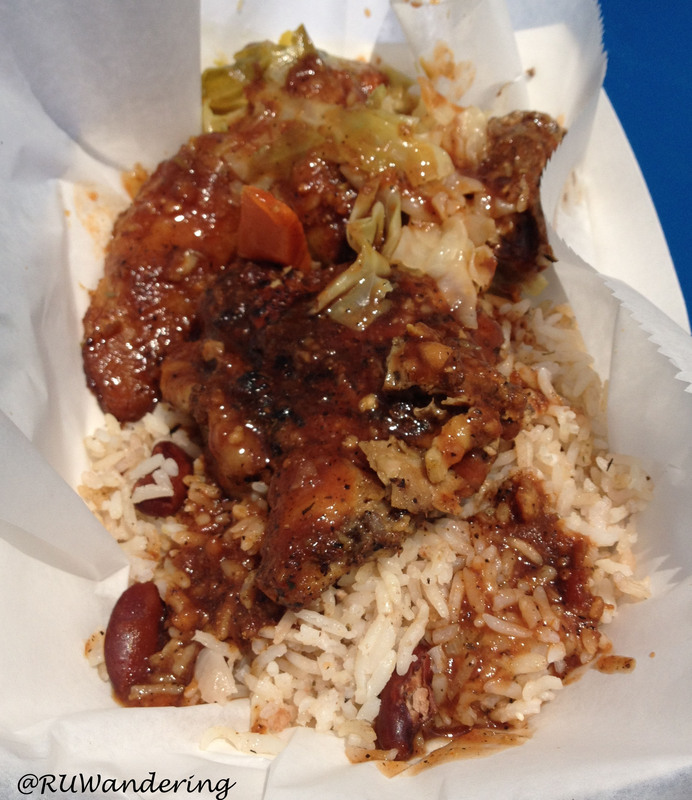 It has been over two years since Virgil’s Jamaica South Raleigh location has been closed. 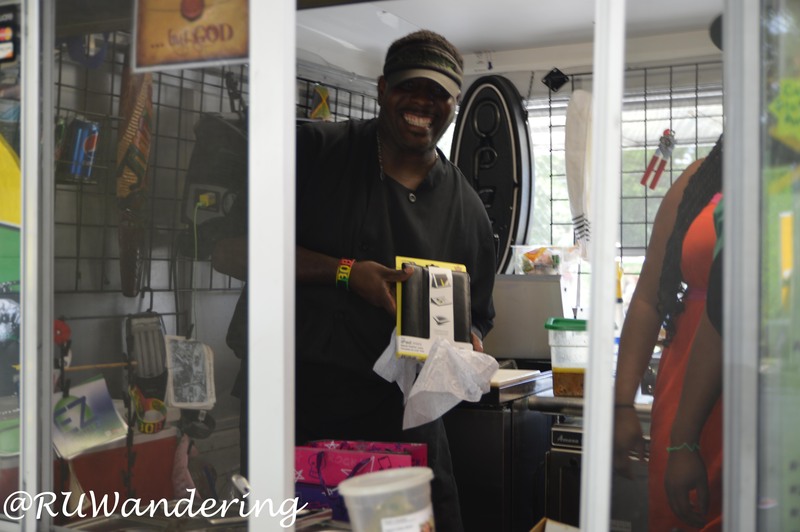 But for the last two years and a half, Virgil Wilson and his wife, Taffee, have enjoying rolling with the food truck. Before Virgil and Taffee got into the restaurant business, they were part of the “corporate rat race” as Virgil put it. Both he and his wife traveled the country striving to hit sales goals and competing against each other (they were in the same industry with different companies). Both Virgil and Taffee had a reputation of preparing delicious food. This led to Fernando Rainford, owner of Jamaica Jamaica in Durham, offering a large amount of capital to build a restaurant. After considering it and finding a prime location off Glenwood Avenue, Virgil and Taffee quit their jobs to focus on building the restaurant. During the restaurant’s construction, Rainford unexpectedly was rushed to hospital and later passed away. Both unemployed and with only part of the funding needed, Virgil and Taffee had to suspend the dream of owning a restaurant. While the Rainford family was devastated by their sudden loss and both Virgil and Taffee were now unemployed, Virgil and Taffee began work at Jamaica Jamaica in Durham. They briefly worked there under new ownership as they concurrently looked for a new location that fit their original investment. Virgil found himself discovering South Raleigh and the location for his restaurant down on Garner Road. While the location was not ideal, the landlord made concessions to help Virgil be successful. Soon, Virgil’s Jamaica started its take out service restaurant. How did you get into the food truck business? Virgil’s restaurant was fairly successful, as it had a reputation of great food. However, it also had a perception of being unsafe. Virgil joked that “he was one of the few chefs equipped with a 45 on the hip.” While his kind heart kept him cooking and providing to the neighborhood, his customer’s feedback of, “I’ll be back, but next time I need to bring my husband” was not something he wanted to hear. Then the popularity of food trucks started to rise. With that, divine intervention came into to help guide Virgil and Taffee to their next venture. A trailer at their church came available. The trailer used for church functions and the summer bible camp could serve as a mobile take-out restaurant. 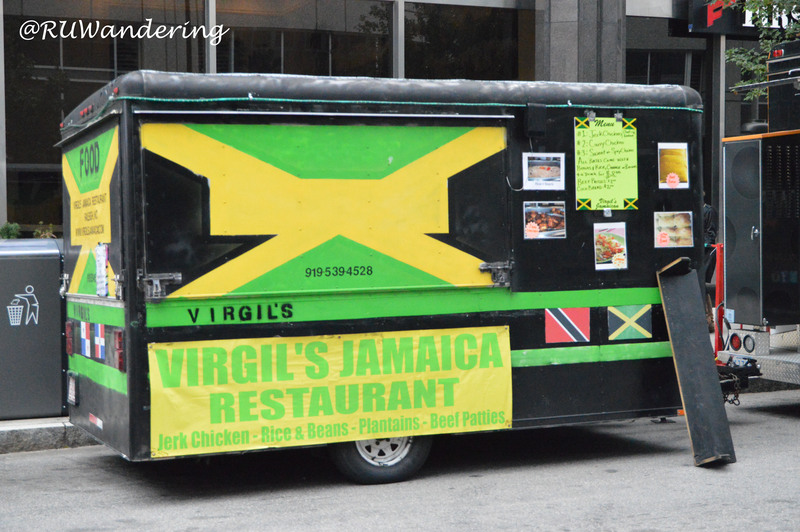 With that idea, Virgil’s Jamaica began operating out of both the restaurant and the trailer. It was at a Caribbean festival that Virgil realized the food truck’s success. Virgil’s was the only restaurant serving at the festival and had a constant service line. At the end of the day that one event brought in a lot of profit for the business. Though as that month went by, the restaurant nibbled away the profits made at the successful event. Not wanting to give up on the restaurant, Virgil’s did consider a white tablecloth Jamaican restaurant. Though his higher end regulars were probably not enough to sustain that business. Virgil then came to conclusion that six years would be enough for the South Raleigh restaurant. Gone were the opportunities where a councilman and drug dealer would bump into each other and not know who they really were. Virgil’s wasn’t the only casualty, by Virgil’s estimation five failed within the same period. Only small takeouts have prevailed. Early in the food truck’s life, Virgil’s parked in Downtown Raleigh on near Dawson and Davie. Though he wanted to serve office parks, as many food trucks had frequent traffic there. It wasn’t long before other food truck owners lent a hand to help. What have you liked about the food truck business? Virgil has has been amazed the support from the food truck community. In the corporate rat race, don’t expect help from your competitors. When he opened Virgil’s restaurant, he mentioned Backyard Bistro’s chef, Joe Lumbrazo was a frequent visitor. On the food truck side, Virgil could list when food trucks extended their hand to help him. Red Eye BBQ allowed Virgil to use their generator at Apex Peak Fest (for the whole event) one year. Baton Rouge Cuisine and Gussy’s have done this at other events. Chick-N-Que saw windows for a trailer at Lowe’s and called Virgil’s to inform them. Traveled to Mebane for Tanger Outlets food truck rodeo and forgot their rice cooker. Ray Chow from Hibachi Xpress allowed him to cook rice on their trailer. Virgil’s needed a refrigerator. Captain Ponchos sold one and offered an installment plan for Virgil’s to repay them. Virgil’s background goes back two generations to his grandfather and father, where they were both chefs in the military. When he joined the military as a medic and later as an officer, he only cooked once while on duty. It was during a time in Panama when he cooked for Mother’s Day for the group. Virgil’s culinary background led Virgil’s Jamaica to have a higher quality versus sourcing some Caribbean items from vendors. 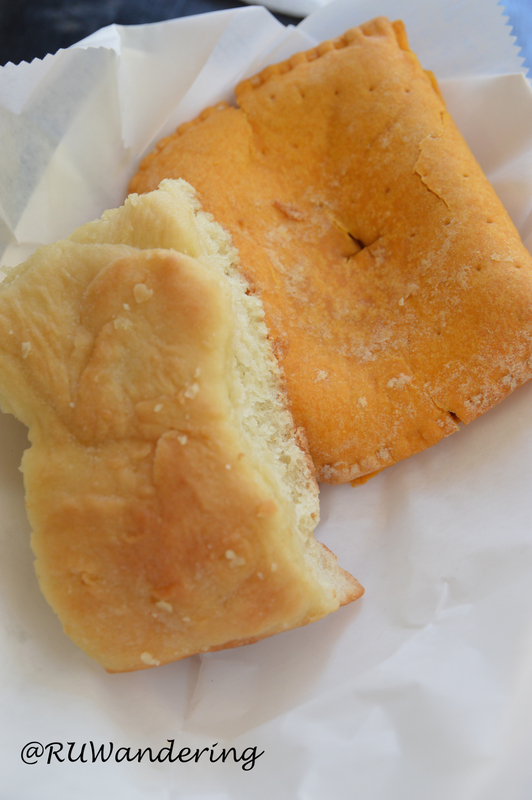 Taffee baking skills can be evidence in the fresh coco bread, patties, and dessert specialties. During his restaurant days, Virgil also branched out into sauces sold in retail markets. Last year, I happen to stop by Virgil’s when he received a Father’s Day gift. What are some of the biggest rewards from running a food truck? This weekend is pretty big. What can you say about the Wake Forest Rodeo? Last year, Virgil wanted to organize an event in the area where he currently lives. 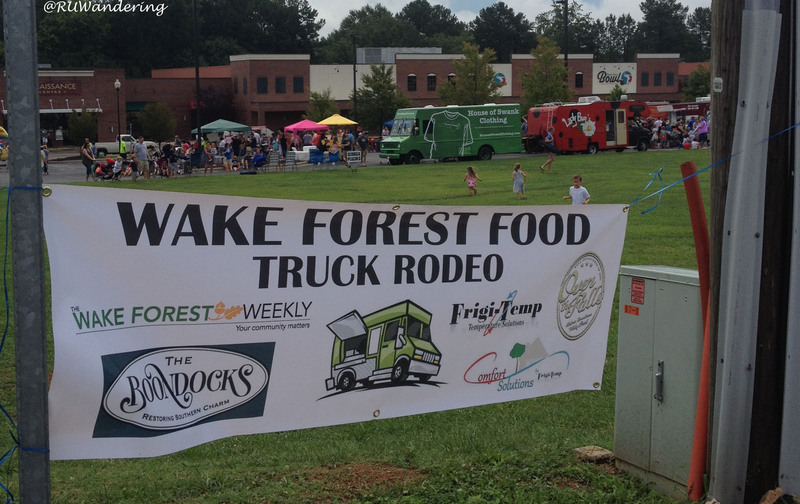 Talking to nearby residents, he could tell they wanted to have a food truck event closer to Wake Forest. Wanting to meet those desires, he began working with Wake Forest to find a way to have the event. During the planning stages, Virgil searched for a prime location in Wake Forest to organize it. The owner at Over The Falls Shopping Center, Doug Pearce, approached Virgil about using the center for the event. With a location secured, the next part was getting food trucks involved. This is where Virgil was slightly nervous. Earlier, he organized an event in Fort Bragg that fell through. Would owners count on Virgil for this event to take off? As in before, food truck operators had no problems helping Virgil organize this event. Did the first Wake Forest Rodeo take off? This evidence that I think it did. This Sunday (March 29th), Virgil mentioned the Wake Forest Rodeo will collect money for Wake Forest officer David Cohen. His wife suddenly passed away after the family (the officer, wife, and two boys) moved from Asheville to be closer to family. Since it was in between jobs, the officer’s benefits have no fully kicked in. Officers will be around the food truck rodeo collecting for the family’s unexpected loss.